Brief: This tutorial shows you how to install Popcorn Time on Ubuntu and other Linux distributions. 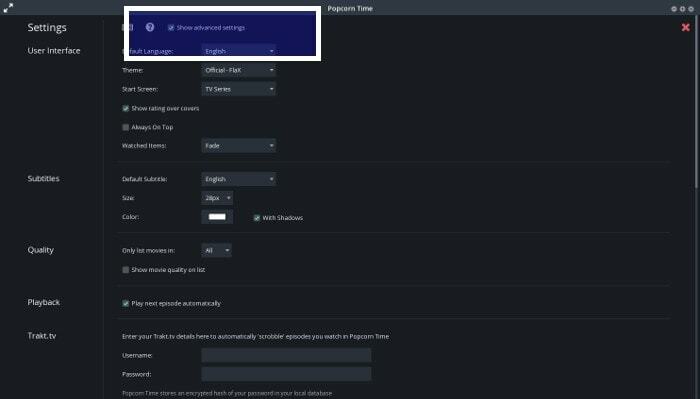 Some handy Popcorn Time tips have also been discussed. 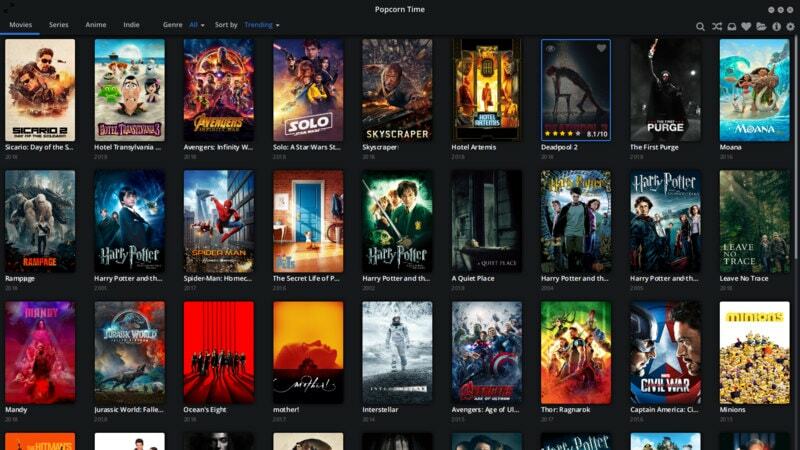 Popcorn Time is an open source Netflix inspired torrent streaming application for Linux, Mac and Windows. With the regular torrents, you have to wait for the download to finish before you could watch the videos. Popcorn Time is different. It uses torrent underneath but allows you to start watching the videos (almost) immediately. It’s like you are watching videos on streaming websites like YouTube or Netflix. You don’t have to wait for the download to finish here. If you want to watch movies online without those creepy ads, Popcorn Time is a good alternative. Keep in mind that the streaming quality depends on the number of available seeds. 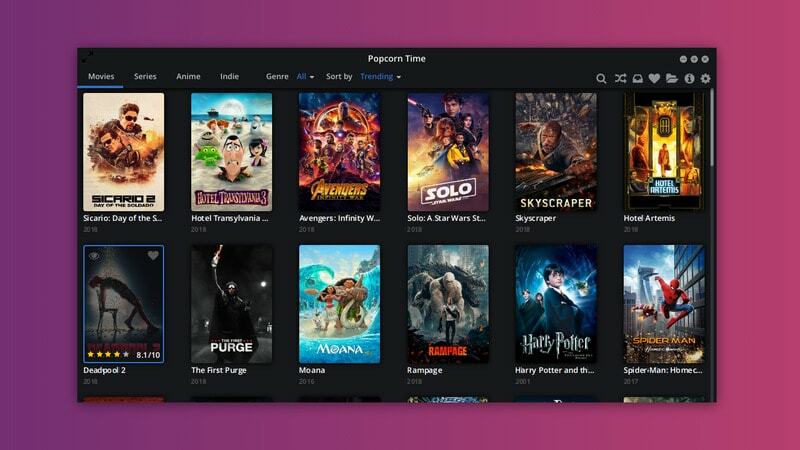 Popcorn Time also provides a nice user interface where you can browse through available movies, tv-series and other contents. If you ever used Netflix on Linux, you will find it’s somewhat a similar experience. Using torrent to download movies is illegal in several countries where there are strict laws against piracy. In countries like the USA, UK and West European you may even get legal notices. That said, it’s up to you to decide if you want to use it or not. You have been warned. I am using Ubuntu 18.04 in this tutorial but you can use the same instructions for other Linux distributions such as Linux Mint, Debian etc. 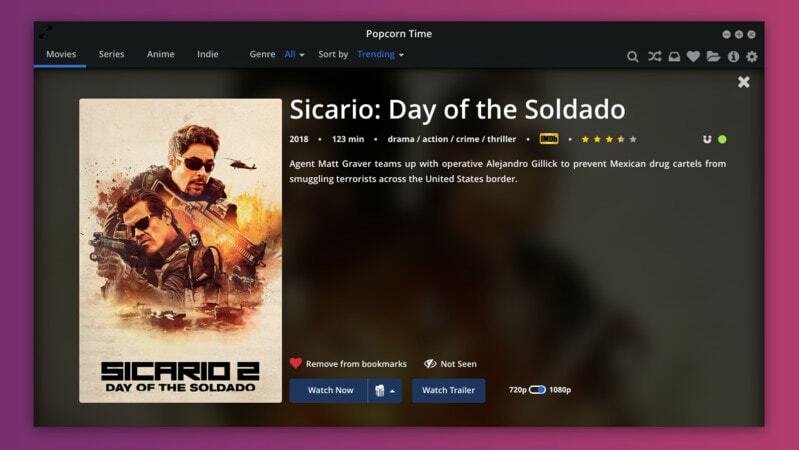 Popcorn Time is available in the software center for Deepin Linux users. Manjaro and Arch users can easily install Popcorn Time using AUR. Let’s see how to install Popcorn time on Linux. It’s really easy actually. Simply follow the instructions and copy paste the commands I have mentioned. You can download Popcorn Time from its official website. The download link is present on the homepage itself. Once you have downloaded Popcorn Time, it’s time to use it. The downloaded file is a tar file that consists of an executable among other files. While you can extract this tar file anywhere, the Linux convention is to install additional software in /opt directory. Now go to the Downloads directory. Extract the downloaded Popcorn Time files into the newly created /opt/popcorntime directory. You would want every user on your system to be able to run Popcorn Time without sudo access, right? To do that, you need to create a symbolic link to the executable in /usr/bin directory. So far so good. But you would also like to see Popcorn Time in the application menu, add it to your favorite application list etc. For that, you need to create a desktop entry. Open a terminal and create a new file named popcorntime.desktop in /usr/share/applications. You can use any command line based text editor. Ubuntu has Nano installed by default so you can use that. If you used Nano editor, save it using shortcut Ctrl+X. When asked for saving, enter Y and then press enter again to save and exit. We are almost there. One last thing to do here is to have the correct icon for Popcorn Time. For that, you can download a Popcorn Time icon and save it as popcorn.png in /opt/popcorntime directory. That’s it. Now you can search for Popcorn Time and click on it to launch it. On the first launch, you’ll have to accept the terms and conditions. Once you do that, you can enjoy the movies and TV shows. Well, that’s all you needed to install Popcorn Time on Ubuntu or any other Linux distribution. You can start watching your favorite movies straightaway. However, if you are interested, I would suggest reading these Popcorn Time tips to get more out of it. Now that you have installed Popcorn Time, I am going to tell you some nifty Popcorn Time tricks. I assure you that it will enhance your experience with Popcorn Time multiple folds. Always have the advanced settings enabled. It gives you more options to tweak Popcorn Time. Go to the top right corner and click on the gear symbol. Click on it and check advanced settings on the next screen. 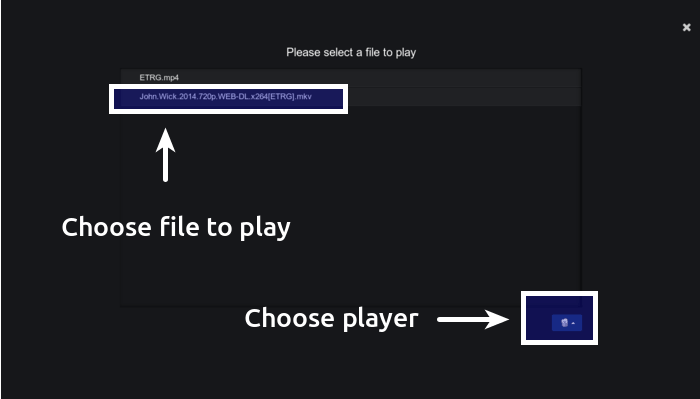 Did you know that you can choose to watch a file in your preferred media player instead of the default Popcorn Time player? Of course, that media player should have been installed in the system. Now you may ask why would one want to use another player. And my answer is because other players like VLC has hidden features which you might not find in the Popcorn Time player. Just browsing through movies and TV series but don’t have time or mood to watch those? No issues. You can add the movies to the bookmark and can access these bookmarked videos from the Favorites tab. 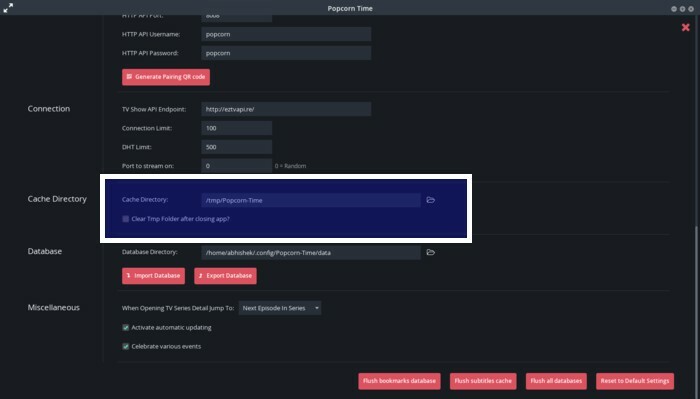 This enables you to create a list of movies you would watch later. As I had mentioned earlier, your viewing experience in Popcorn Times depends on torrent speed. Good thing is that Popcorn time shows the health of the torrent file so that you can be aware of the streaming speed. You will see a green/yellow/red dot on the file. Green means there are plenty of seeds and the file will stream easily. Yellow means a medium number of seeds, streaming should be okay. Red means there are very few seeds available and the streaming will be poor or won’t work at all. 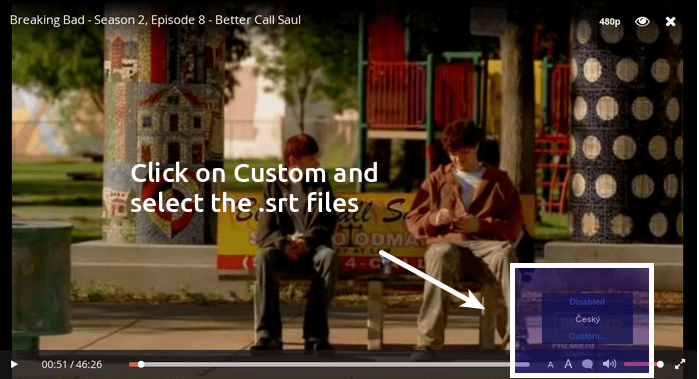 This is where VLC comes handy as you can download subtitles automatically with VLC. 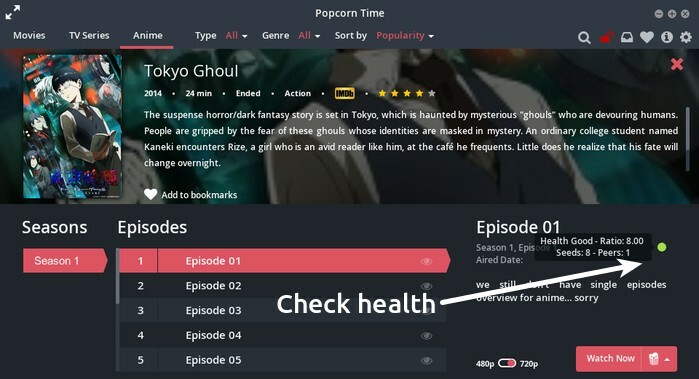 When Popcorn Times stream a content, it downloads it and store temporarily. When you close the app, it’s cleaned out. You can change this behavior so that the downloaded file remains there for your future use. In the advanced settings, scroll down a bit. Look for Cache directory. You can change this to some other directory like Downloads. This way, even if you close Popcorn Time, the file will be available for viewing. I bet you did not know about this one. If you don’t find a certain movie on Popcorn Time, download the torrent file from your favorite torrent website. Open Popcorn Time and just drag and drop the torrent file in Popcorn Time. It will start playing the file, depending upon seeds. This way, you don’t need to download the entire file before watching it. There are plenty of other features in Popcorn Time. But I’ll stop with my list here and let you explore Popcorn Time on Ubuntu Linux. 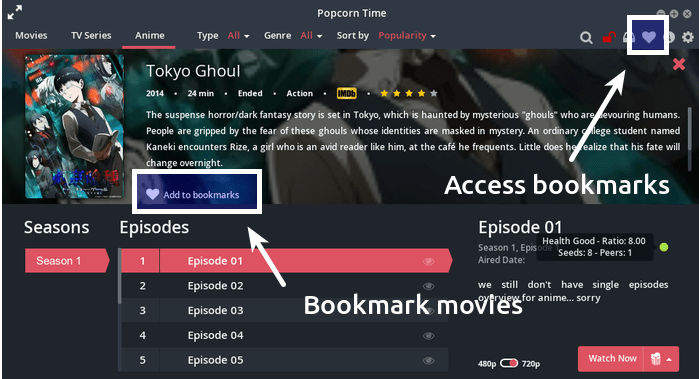 I hope you find these Popcorn Time tips and tricks useful. I am repeating again. Using Torrents is illegal in many countries. If you do that, take precaution and use a VPN service. If you are looking for my recommendation, you can go for Swiss-based privacy company ProtonVPN (of ProtonMail fame). Singapore based Ivacy is another good option. If you think these are expensive, you can look for cheap VPN deals on It’s FOSS Shop. Note: This article contains affiliate links. Please read our affiliate policy. HI Abhishek love from india switched to linux mint a few days ago loving it lightweight and powerfull, GUI is better than windows after customization and terminal ke toh kya hi khehne saw your youtube video on dual boot thanks broda. There is no update here. You can remove the existing Popcorn Time and then download the new one and repeat the process again.